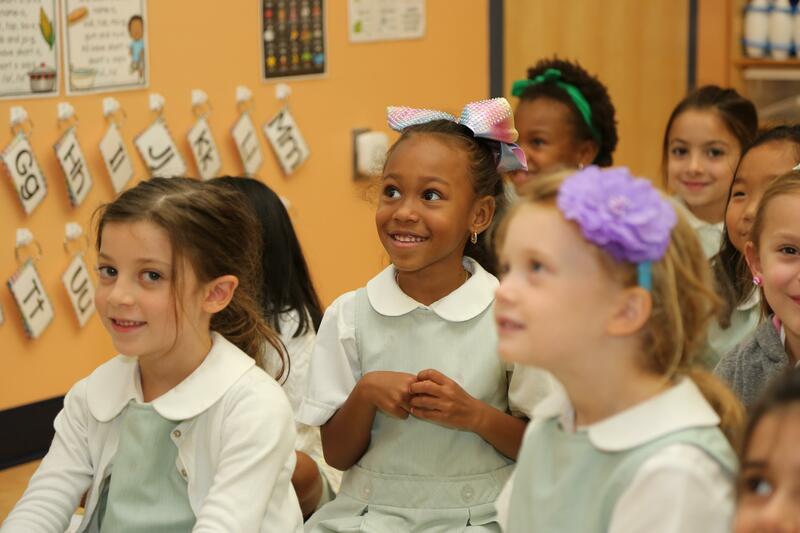 The Early Childhood Center at Notre Dame Academy includes our Toddlin’ Two program, Pre-K 3, Pre-K 4, and Kindergarten. We provide an integrated, content-based curriculum that engages students in investigating various concepts. What sets us apart from other Early Childhood Program? 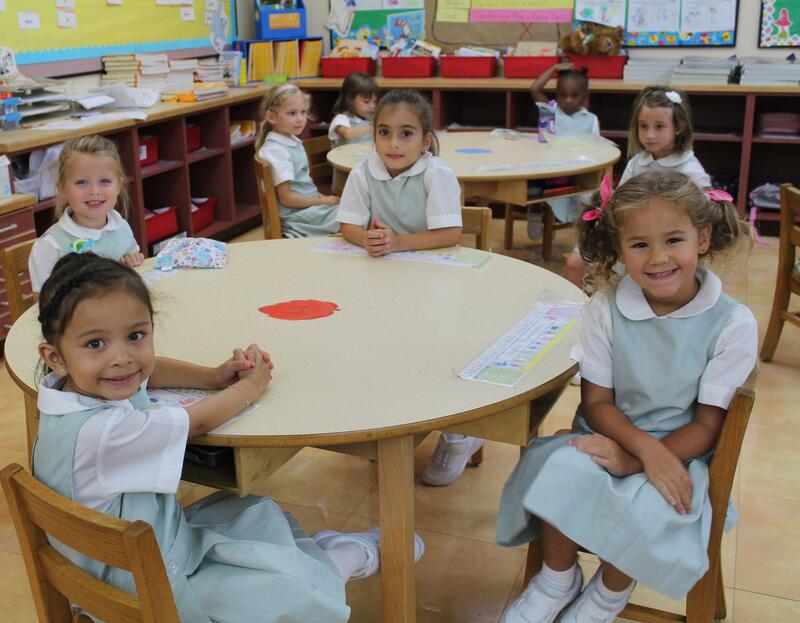 Our commitment to fostering each child’s individuality, sense of self, and differentiated academic ability. We understand that each child develops at her own pace. With that in mind, we take each child’s individual gifts, and create a confident young learner. We believe that confidence is the key to any successful student. In our ECC classrooms, we celebrate every success, big or small. 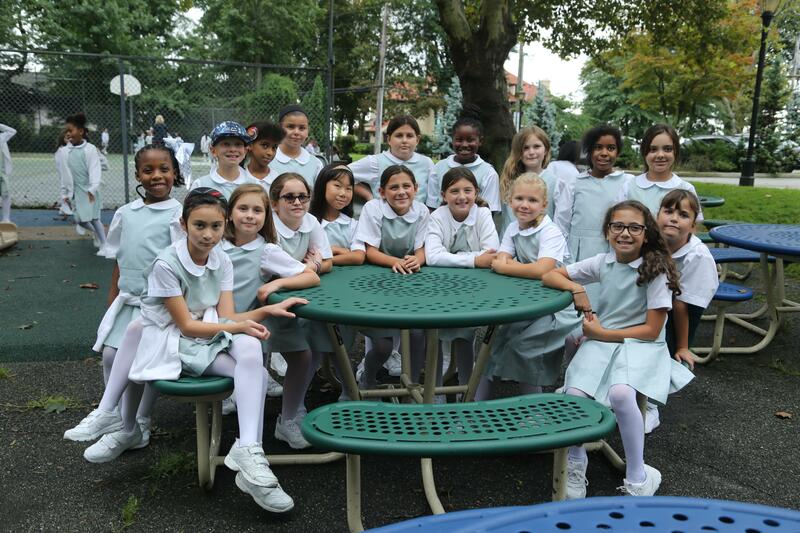 In the tradition of Notre Dame Academy’s all-girl environment, we are able to help each child develop academically, socially, and spiritually. Our activities are designed to foster the transitional needs of our young girls. Our daily schedule helps to nurture and provide easy transition. The children become active participants in our day by interacting with teachers and peers. Our liberating education provides each student with a sense of empathy for others, confidence, love, respect, and gratitude. We teach each young student to be independent, and an agent of her own transformation. Our Reading and Language Art program is introduced as early as Pre-K 3. The students are introduced to phonological and phonemic awareness, listening, speaking, vocabulary, and the writing process. We provide free choice, play-based centers for students to reinforce what the children are learning. The children are learning to independently engage in activities and small group learning that provide growth in rhyming, letter identification and sounds, book sense, story sequencing, handwriting, prewriting and writing skills. Secret readers visit weekly to enhance this experience. Our Envision Math program helps Kindergarten students engage in activities and games that enable them to make mathematical connections. Students are constantly discovering with manipulatives to make patterns, count and identify numbers, explore spatial relations, number sense, and shape identification. We use the help of technology to reinforce these skills. Students use iPads, SmartBoards and a SmartTable in the classroom daily. Students learn and discover connections, throughout our beautiful 13 acre campus. Our campus is part of our classroom. You can always find early childhood students, exploring our on-campus garden, taking spring and fall walks to discover hands-on what is changing in the environment around them. Our social studies program is focused on our community. Frequent visitors from our community, such as firefighters and police officers, enrich the social studies curriculum. We play outside on sunny days, and inside when it rains. Our little hands and little feet are busy everyday! Students participate in daily fingerplays, handwriting activities, jumping, skipping, hopping, throwing, and running. We have daily songs and dances that enhance our gross motor development. During Center Time, students work on pencil grip, cutting, lacing, zipping, and buttoning to help develop fine motor skills. Notre Dame Academy was founded over 114 years ago with a vision from our patron Saint Marguerite Bourgeoys. “When the heart is open from the sun of grace, we see flowers blossom in their fragrance; these are seen to have profited by the word of God.” -The writings of Marguerite Bourgeoys. The teachers in the Early Childhood Center see the girls as flowers blossoming into individuals, as they are taught the word of God. 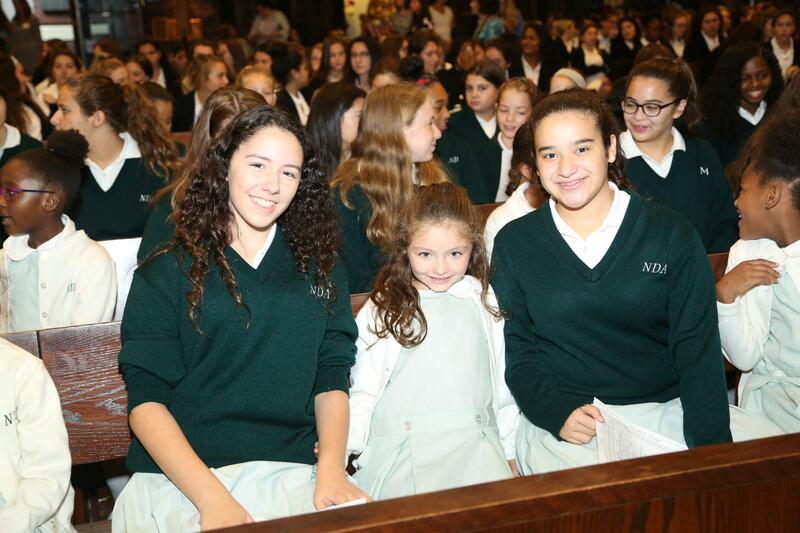 The girls are included in trips to the campus Chapel for special events and prayer. They are taught to love each other, as God loves us. They are taught to love themselves as God loves them. 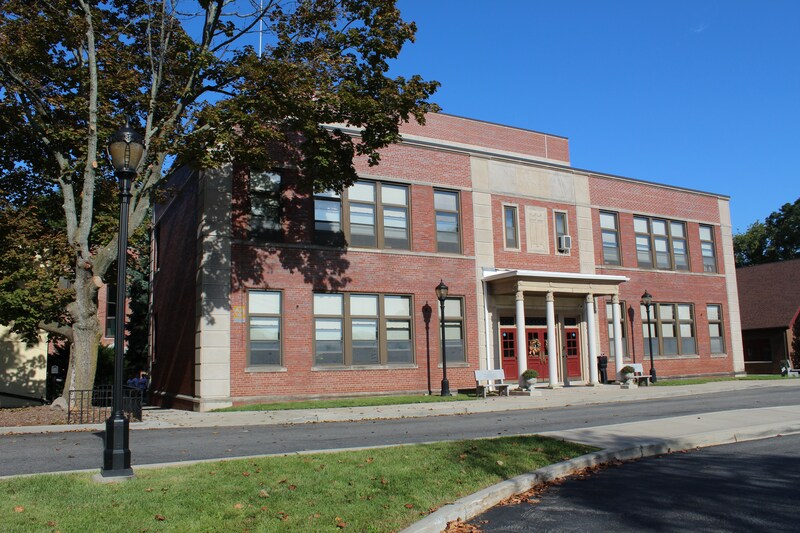 Notre Dame Academy offers art, music, physical education and technology. 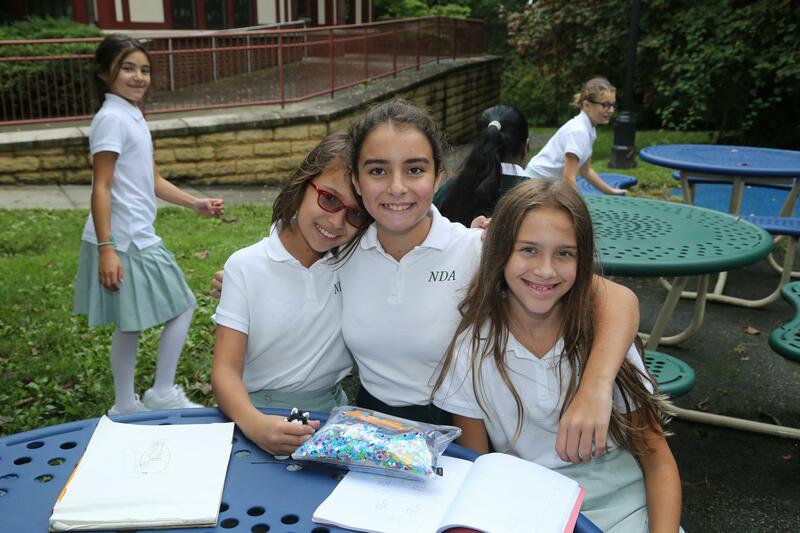 Throughout the year NDA girls learn to cook, design and build; in small groups, large groups, and independently. Many fun and educational activities are performed throughout the year to enrich the curriculum. The Pre-K 4 class builds their own class teepee after learning all about the First Thanksgiving. The Kindergarten participates in STEM learning to reinforce number sense and number bonds. The ECC hosts many special events throughout the year. Fostering a sense of community and belonging. The teachers create traditions to enhance the curriculum. 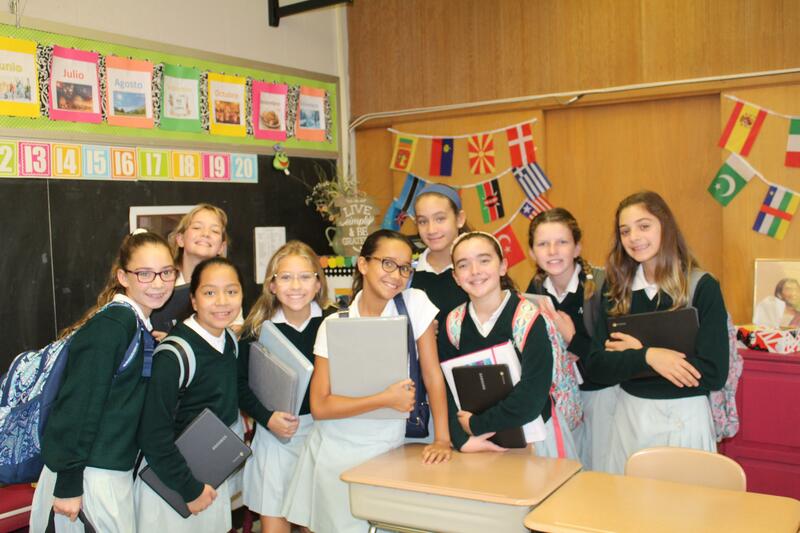 Our “big sister” program gives our 8th graders a chance to interact with their “little sisters.” Special activities are planned throughout the year. These activities create everlasting bonds between the girls, and create beautiful memories. Below you will find a list of special events the students participate in throughout the year. • Pre-K Thanksgiving Play and Feast: The girls participate in a short reenactment of the First Thanksgiving, followed by a small feast of traditional Thanksgiving foods. • Kindergarten Christmas Play: The girls reenact the first Christmas with angelic costumes and songs. • Pre-K and K Gingerbread Houses: Each student invites a parent to join them in the cafeteria to build an authentic Gingerbread House. • Pre-K Easter Bonnet Parade: The girls make and share their own Easter Bonnets in a special parade. Parents, teachers, and peers wave them on in excitement! • ECC Egg Hunt: The girls spend the morning finding Easter Eggs on the great lawn, by searching for missing numbers. The day ends with a visit from the Easter Bunny! • Kindergarten Mother’s Day Tea: The girls spend the morning with their moms and serve them special tea and cookies. • Pre-K Muffins with Mom: The girls share a muffin and special gift with their moms. • Pre-K 3 “Stepping Up Ceremony”: Pre-K 3 celebrate all they have accomplished this year with special songs, and slide show. • Pre-K and Kindergarten Graduations: The girls celebrate moving on to a new grade with special songs, poems and slideshows.